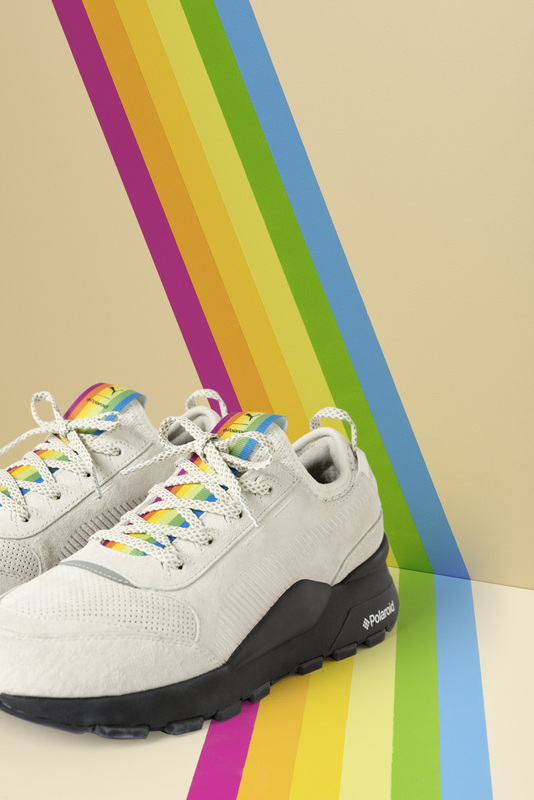 PUMA and consumer electronics powerhouse Polaroid is dropping the RS-0 and RS-100 Polaroid sneakers. The collaborative pack is a fusion of PUMA’s all new RS-0 sneaker and design hints from the iconic Polaroid OneStep analog instant camera. 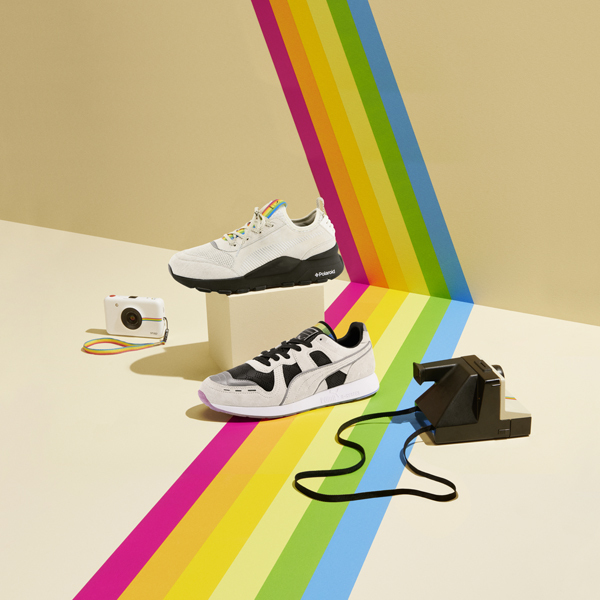 The RS-0 Polaroid sneaker is inspired by the game-changing Polaroid OneStep instant camera. The sneaker features a premium white leather upper, micro perf vents, 6mm flat, reflective laces and the iconic Polaroid Colour Spectrum graphic on the sneaker tongue. 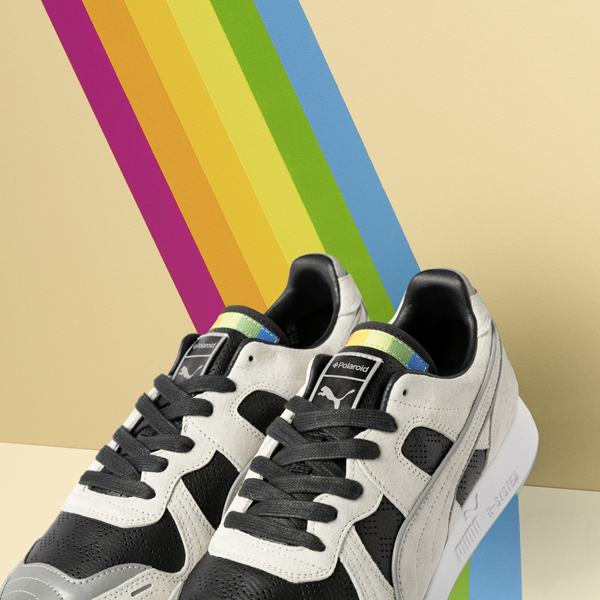 The RS-100 Polaroid sneaker reimagines the 80’s RS-100 model with hints of photography elements. Between the two sneaker styles, the RS-100 Polaroid is the OG silhouette, keeping true to the retro style. The re-issue features classic Polaroid hues in colour-blocked style in suede and leather overlays, finished with a reflective detailing, a play on the ‘flash’ from a Polaroid camera. The iconic Polaroid Colour Spectrum graphic rainbow colours are used prominently, from the colourful outsole to the sneaker tongue. Both shoes feature the PUMA and Polaroid branding found on the tongue label and footbed. For a nice touch, the shoes include a miniature version of a Polaroid instant photo in the Polaroid Classic Border Logo with co-branding used as a hangtag. The sneaker pack will be available in-store on 27th October at PUMA SELECT stores and Shelflife. The RS-100 retails for R2 899 and the RS-0 retails for R2 999.